Know where to find the most important Power Moons in the Moon Kingdom by reading this Walkthrough Guide for Super Mario Odyssey. This page contains a strategy guide on Moon Kingdom found in Super Mario Odyssey. The guide contains walkthroughs for each location in the kingdom, as well as the location for each Power Moon in the area. 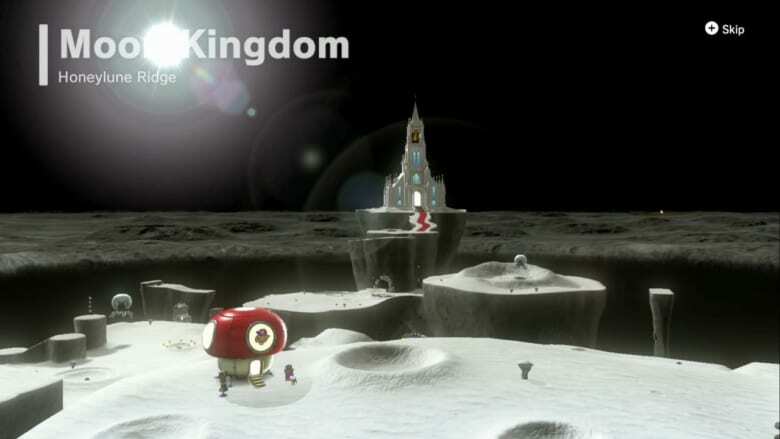 The Moon Kingdom is the fourteenth kingdom that Mario visits in the game. This kingdom is the location where Bowser and Princess Peach’s wedding takes place, making it the last kingdom that Mario ventures in. Its greater location is named Honeylune Ridge. When you arrive at the Moon Kingdom, check the small crater behind you for a Power Moon. Use the anti-gravity to be able to jump and hit the boxes. You can also use the boxes to make your way up to the Power Moon. Check the large plateau nearby and you’ll see a flower. Open it with Cappy to bounce your way up to get some Moon Kingdom Purple Coins. Head down north and then west to avoid the spiky enemies from Seaside Kingdom. You don’t have to kill them but, you can just skip over them. Plan your jump in advance to easily gain the advantage over them. After that, jump over the ridge to get to the far side. When you reach the other side, head down and to fight an octopus-looking creature. He fires spiked shells so, ground pound him to take him out. After he goes down, grab the Moon Kingdom Purple Coins he was guarding. When you’re done with that, check the rocks in the craters to find a glowing one. 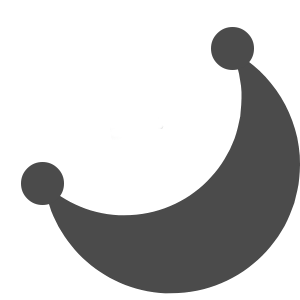 There’s a Power Moon waiting for you there. Then, head north to find more rock enemies. There are also several pillars of those strange cubes you can long jump on to grab more Moon Kingdom Purple Coins. Head down to the next plateau to find that Bowser’s tracks end at a steep ridge with a large distance between it and the next platform. But, if you look down, there’s a smaller but broken path below. While using that is a plausible idea, you can also grab some Speed Boost Flowers to give yourself a running leap over the gap to the next area. Once you reach the far platform, use the flower under the Octopus to grab more Moon Kingdom Purple Coins. Then, head left past the checkpoint to enter a large tunnel. Head up the path until you find a lava pit below you. But don’t drop there; drop down on the grates that are near the platform. Watch out for the Dry Bones though. You can use the Dry Bones to fly across the lava. However, this is no easy flight. You’ll have to fly across the pool of lava while dodging the rising pillars of magma. Oh, don’t forget to dodge the shots from the Sherms from the other side. After you reach the other side, let go of the Dry Bones to grab the Sherm. Then, use the Sherm to obliterate your other attackers. After clearing the field, move the tank to the bridge. However, watch out for the incoming plumes from the magma. Once you reach the other side, blast the cage to grab a Heart. Exit the Sherm to grab another Dry Bones to fly. Then, take over another Shem to blow up the cage guarding the Spark Pylon which will take you to the next area above. Once up there, there’s a panel that activates the moving platform heading towards 2 Hammer Bros. You can use one to smack down his friend and then focus breaking down the walls. After breaking all the walls, ditch the Hammer Bro to get to the next platform. When you move on to the next platform, you’ll spot the Tropical Wigglers. Dodge the first and capture the second before spreading out to collect coins. Look for a small platform on the right you can cling to. Then, wrap around the other side of the fence as the moving platform passes under. Fix your position on the platform before stretching out again to grab more Moon Kingdom Purple Coins. Leave the Wiggler behind and dodge the last one to get up on the next platform. Once you head up across the bridge towards the wall of bricks, you’ll find a Banzai Bill incoming. Hit the hat off to capture it and demolish the wall of bricks as you head up towards the right. Aim for the coin rings while destroying the other Bullet Bills that intend to hit you. Break through the next wall where it looks weak before charging the new group of Bullet Bills. Once the metre starts blinking, slam the platform the Bullet Bills are launching from to get a place to rest before claiming the next Giant Banzai Bill. Once he launches him, knock off his hat to capture him then tear through the platform. Check out the smaller platform to find another launcher. At the next platform, leave the Bullet Bill behind before heading up to find a button and some Moe-Eyes. Step on the button to spawn a shivering invisible platform. Capture the Moe-Eye to see where you’re going. Adjust your shades as you deem fit depending on your desired movement. Once you get to your destination, grab the Spark Pylon at the top area. But watch out for the incoming Chargin’ Chuck! Knock off the football helmet before trying to capture him. Then, use the shoulder charge to shatter the rocks. Then, smash the following boulders ahead. Leave Chargin’ Chuck behind after bashing through the rocks. Then, jump up to find a narrow ledge full of boulders. Run with them to the left to find another Chargin’ Chuck. Capture the Chargin’ Chuck to smash through the boulders and make your way to the other side. Stay perfectly still until you reach the last Spark Pylon. Activate the Spark Pylon to trigger the Boss Fight. Click here to get the boss guide for Madame Broode (Second Battle). After beating her for the final time in the Moon Kingdom, run across Ever After Hill to make your way to the chapel. Click here to get the boss guide for Bowser (Final Battle). As the interior of the Moon Kingdom begins to collapse, you’ll fall into a lava-filled area. But you still need to find Peach so start scrambling. Throw your Cappy at Bowser and tear through the blocks until you reach a deep pit. The pathway ahead has space cubes that turn yellow the moment you walk on them so keep walking and don’t stop. When the debris falls to the ground, it will shatter into pieces before rolling towards you. Claw them apart and then jump up before heading right. Next, head left up the path and then left again until you see a giant pillar. After that, smash the pillar as fast as you can. Dodge from time to time to avoid taking damage. Keep breaking it until it falls to reveal an old 8-Bit Mural. Enter the Warp Pipe which turns you and Peach into your old 8-Bit versions. As Bowser, use your flame breath attacks to destroy large blocks from afar as you create platforms. Slowly jump your way through and once you reach the end, jump off immediately as the stone the mural is on will break. When the mural curves back left, use fire blasts and jumping to get out quickly to get yourself off the platform. With that, jump out of the mural into the next wall. Burst through the next wall until you spot a large space cube in the middle with four pillars. The tiles of the space cubes have falling debris all around them. Break down the pillars to shatter them on the center. But don’t step on the cubes, the ground will crack. Walk in a counterclockwise motion and don’t look back. Continue striking the pillars while dodging the boulders. However, watch out. The more pillars you break, the more pitfalls you’ll make. When the last pillar falls, jump into the middle and hit the pillar with everything you have. Then, a Spark Pylon will appear and use it to escape. With that, you’ll have successfully finished the Moon Kingdom! Congratulations!